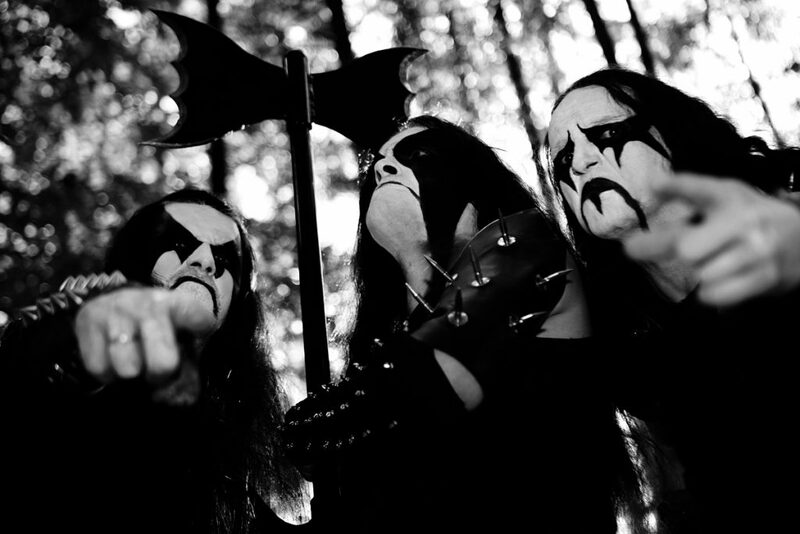 The fourth Immortal album is the last of their “holocaust metal” trilogy, and primarily an album about changes. After this album Demonaz would depart from live activity with the band, having been diagnosed with acute tendinitis in his arm, instead moving forward as their manager while remaining active as their lyricist. “Blizzard Beasts” is also the first album since the debut to have a dedicated drummer. Reidar Horghagen makes his recording debut with this album, but he had no involvement in the songwriting. It was the first to be recorded outside of Grieghallen Studio and without long-time producer Eirik ‘Pytten’ Hundvin - as a result the production is atrocious, of demo quality and ugly. The album is described as the band’s most death metal – and technical sounding, taking a chunk of inspiration from Morbid Angel’s “Altars Of Madness” in terms of riffing and delivery. After a short but unlisted intro (which is actually pretty effective and gloomy) the trio bursts into the title track, and they sound more ravenous, determined and hungry than ever before. The blast sections are faster than they ever were before, and the dirge-like slow parts flow better within the general construction of the songs. The tempo is overall much lower than the utterly relentless “Battles In the North”, which was expected as that record pushed speed as far as humanly possible. The ratio of slow tracks does stick out, and “Blizzard Beasts” is closer related to “Diabolical Fullmoon Mysticism” than any of its direct predecessors in that way. There is about an equal amount of slow tracks, as there are fast cuts. Of the slow tracks the epic and very atmospheric ‘Mountains Of Might’ is vintage Immortal, similar in construction to ‘Blashyrkh (Mighty Ravendark)’ and ‘A Perfect Vision Of the Rising Northland’. Other slow tracks include ‘Nebular Ravens Winter’, ‘Suns That Sank Below’ and ‘Winter Of the Ages’. There’s also an increase in the amount of leads/solos compared to the previous album, and Immortal’s atmospheric folk edge is more pronounced on this record. On his last album with the band Demonaz delivers his most acrobatic and technically refined performance on the guitar. The downside is that much of the riffing, the harmonies and the leads/solos are robbed of their effect due to the abysmal production job. 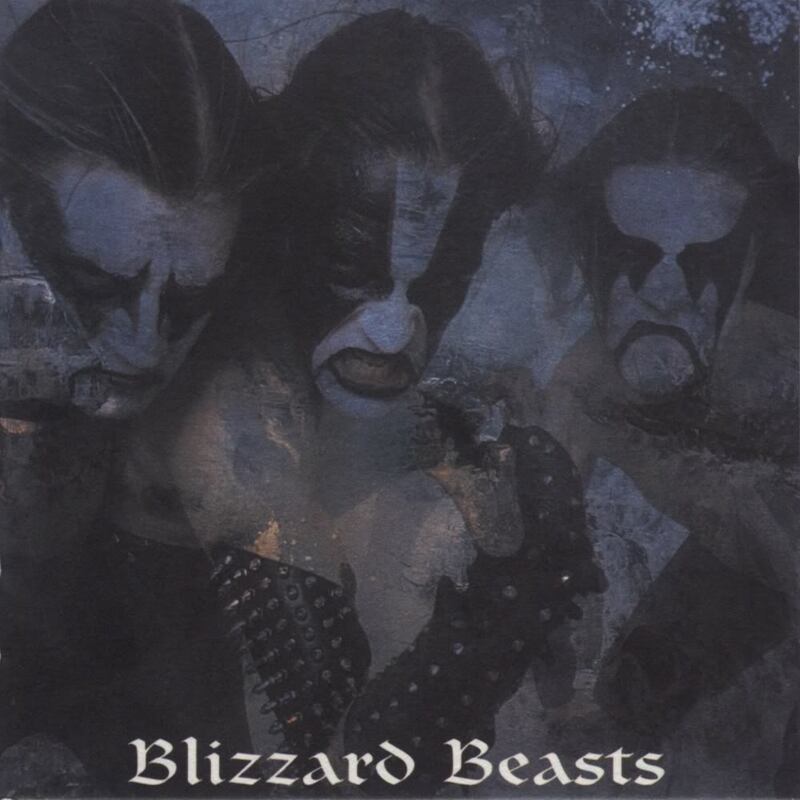 On all other fronts “Blizzard Beasts” is a reliable, but ultimately mediocre sounding Immortal album. The record does what it sets out to do, but nothing ever truly stands out in any meaningful way. ‘Mountains Of Might’ is the lone highlight and the only signature track to speak of. That is not to say that any of the other songs present on this record are bad, because they are not. Immortal had written stronger material in the past, even considered as a death metal album isn’t very remarkable, poignant or, well, strong. Instantly noticeable is how much the production, or lack thereof if we’re being honest with ourselves, hampers the product. The band had holed up in Sigma Recording Studio with producer Henrikke Helland, and the band co-produced the record on its own. What exactly went wrong is hard to tell from an outsider perspective. Why of all bands exactly Immortal befell this fate remains a mystery. The duo, that had otherwise had tolerable to exceptional productions in the past, now was stuck with the most plastic, sterile and soulless production job yet to grace any of their records. Horghagen’s drums sound like thin cardboard boxes and plastic buckets instead of the usually hammering percussion we have come to associate with Immortal. The guitars are washed-out, fuzzy and don’t hold a lot of power. The vocal production is as good, if not better, as on the last album and the bass guitar can be heard plucking and popping away. For a band that usually avoided terrible productions, “Blizzard Beasts” was an experiment in sound that went horribly and terribly wrong. Unfortunately. Equal to the production the photography is horrid and ugly this time around. Immortal are better than this. “Blizzard Beasts” marks the end of the first era of Immortal. It is the concluding chapter in their “holocaust metal” trilogy and the end of the classic era. Draped in mediocre songwriting, broken up by the occasional memorable track, and hampered by a subpar production – it is the most divisive Immortal record outside of the debut album. After this the band would venture into a more thrash-oriented epic metal on which the black metal stylings were only secondary at best. As is usually the case with institutions like this the band experienced a period of hiatus before transforming and returning to the scene with a reunion album called “All Shall Fall”. 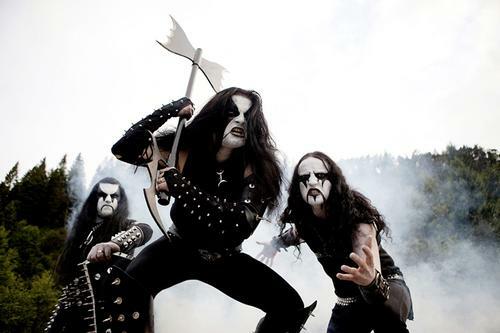 Immortal is one of the classic Norwegian black metal formations and its career trajectory is one of the strangest of that scene, not counting the industrial – and electronic obsessed subsets of the genre. “Battles In the North” set a standard the band weren’t able to live up to. Clocking in at a meager 29 minutes it also is the shortest Immortal album up to that point.